I had the pleasure of interviewing the Vice President and Global head of Qualcomm Ventures, Quinn Li oversees Qualcomm’s $1 billion strategic venture investment portfolio of over 140 investments, and he currently serves as a board member or observer in AMEC, Brain Corp, Cohesity, Lytro, OneWeb, RetailNext, Tango, and Verve. Previously, Quinn has led investments in A123 Systems (AONE), Consert (acquired by Landis+Gyr), InvenSense (INVN), Placemeter (acquired by Netgear), PowerCloud Systems (acquired by Comcast), and Siimpel (acquired by Tessera). Prior to joining Qualcomm Ventures, Quinn held various engineering and management roles in the wireless industry, which included work in product management and business development at IBM Systems and Technology Group, as well as several years in Broadcom and the wireless infrastructure group at Lucent Technologies. Prior to business school, I had no familiarity with the VC space. I have a PhD in electrical engineering and worked in Bell Labs. I enjoyed the technology aspect of my job and I’ve always been intrigued by how people were developing new technologies to solve real world problems. We were often building technologies and new ways to tackle issues, but that didn’t necessarily translate into a business plan. When I went to Cornell for my MBA, I participated in the school’s student-run VC fund, BR Venture Fund. Being a manager in the fund showed me that I could combine my background in technology with my passion for business. As graduate students, we worked together to review business plans, debate the pros and cons of startups’ strategies and products, interview the management teams and conduct the due diligence needed to make real investments in startups that had a connection to Cornell. The entire experience was a great learning opportunity for me and it allowed me to leverage my technology background with my passion for turning ideas from entrepreneurs into fully functional businesses. Post-business school, I connected with Qualcomm Ventures and eventually interviewed for a role and was offered the chance to join the team. That was more than 13 years ago, and I’ve been helping to grow Qualcomm Ventures to a $1B portfolio under management. 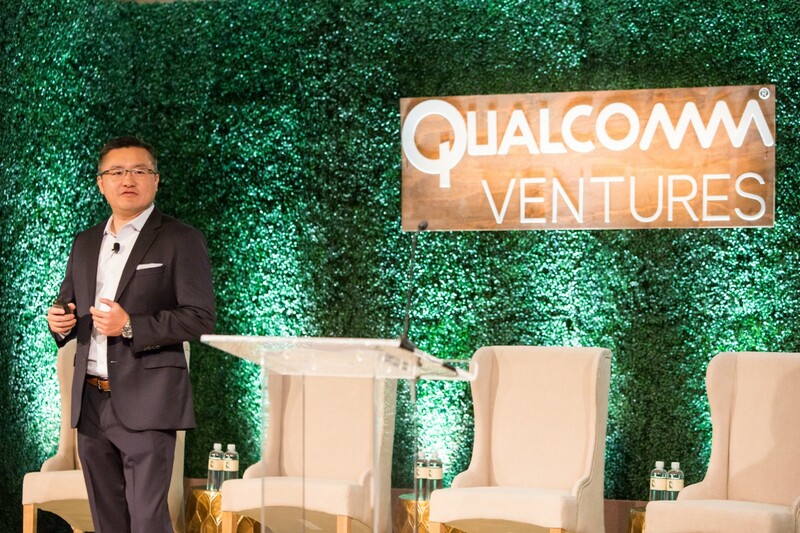 Qualcomm Ventures typically works with early stage companies in the areas where Qualcomm has a demonstrated technical expertise — such as IoT, mobile, AI, auto and networking. By investing in companies that align with Qualcomm’s ecosystem, we’re able to provide the most value to them, due to our technology expertise and Qualcomm’s global network. This includes companies we can collaborate with or companies that may be a customer. For example, we invested in RetailNext, a leader in in-store analytics, in 2014. Now, they use Qualcomm’s Snapdragon processors, in their video sensors that provide comprehensive data analytics on in-store shopper behavior and store performance. We also invested in Cruise Automation, the autonomous vehicle technology and services company, before they were acquired by General Motors for more than $1 billion in 2016. We were interested in them from both an investment and a commercial standpoint because Qualcomm had a keen interest in autonomous vehicle technology. I look for product-focused entrepreneurs with a clear vision of the problem they are trying to solve and a vision for what their product should be. I want to see a founder that is driven, has a high level of integrity and is someone who I would love to work with over the course of several years. They should know the market very well, and they typically have good experience either in the product they are developing or the industry where they are looking to excel. While a founder should know their product inside-out, they should also know the key metrics of their business — like their burn rate or how many products they’ve sold — and be open to feedback from investors and others in their network. The most effective CEOs surround themselves with a diverse, multi-faceted team. To be a strong leader, you have to know how to identify and attract team members with strengths that complement your own. We invested in FitBit about two years prior to their IPO. There was plenty of debate over whether this was a viable product category, but FitBit CEO James Park was able to do something that set his company apart from other startups. During the pitch meeting, he used data to demonstrate the “stickiness” of the product, showing exactly how he intended to drive adoption among new users. We knew then that FitBit would be a success. Another one of my favorite success stories is Zoom, the cloud video conferencing startup we have been investing in since 2013. At Qualcomm Ventures, we look for companies that solve problems in new and exciting ways. Zoom CEO Eric Yuan is a former WebEx executive, so he had a unique understanding of the shortcomings of products in the marketplace. This prepared him to build and launch a superior video conferencing product in a crowded marketplace — a product that we’re proud to use at Qualcomm Ventures today. Jean : What is one piece of advice you would give a startup? Focus on one particular thing that you can do very well and know your value proposition to customers. Too often, startups are doing too many things and trying to solve all of the potential problems that are out there. However, to be successful, startups must build a solution to an existing problem and show they’re capable of executing on that first. In the case of video conferencing startup Zoom, the company was introducing a new product in an existing market. In the case of wearable device company FitBit, they created an entirely new category. In both cases, the startup demonstrated a clear value proposition to their customers. I recently read “Zero to One” by Peter Thiel, the Pay Pal co-founder and VC. This book focuses on a lot of concepts, but two that really stuck with me have been beneficial in many ways. I’m not sure if the book had a deep impact on my life, but it has certainly impacted the way I look at business and at life. One takeaway is that in order for businesses to truly succeed, they need to focus on unconventional thinking. Linear thinking will not lead to innovation or a successful company. In business and in life, this proves true time and again. Secondly, Thiel underscores the importance of having a good plan. Things don’t just work out with good people, hard work and capital. In business and in life you need a plan. Although these points may sound obvious, it’s surprising to see how many businesses don’t adopt these concepts. Know the details of your business. Investors want to hear about the startup from the founder/CEO, so keep other team members to a minimum in the first meeting. This demonstrates that you understand the business inside and out. Get to the point quickly. Sometimes, startups will lead a pitch meeting with details, such as how big the market is or their accomplished team of experts, but investors have short attention spans. Lead with the product or service you’re trying to build in the first 20 minutes and try to keep your presentation to 15 slides or less. Be persuasive, but not “salesy.” I want to see a confident, persuasive pitch from someone who is articulate and knows their stuff. But what I don’t want to see is someone who is pushy, only uses buzzwords or drops a lot of names. When you invest in a company, you’re entering a relationship with them for the next 5–10 years. So if you’re talking to me like a salesman then I’m trying to sniff out what’s true, what’s not true and whether or not you’re someone I want to be working with on a regular basis. If possible, have a demonstration. If you’re selling a consumer product, it is likely investors will want to see some type of working, prototype device. If you’re super early-stage then VCs are investing based on that team’s expertise. Customer validation points, reviews and feedback from customers, anything you can do to show customer traction is a great indicator of the product’s viability and its market perception. VCs are looking for big ideas. Some founders may not realize this, but it’s true of us and other VCs. We are always looking for big ideas — the potential unicorns that are out there. We want to see that you’re addressing a big market and have the potential to scale quickly. Ten of Qualcomm Ventures’ exits over the last eight years have been unicorns, so we’re seeking out startups that have the potential to become very large businesses even at an early stage. Jeff Bezos. He has a clear vision of what the business he’s building is grounded on; he made the incredible leap into e-commerce from selling books online; he ventured into providing compute resources over the internet; and he was able to convince investors that he didn’t need to make a huge profit in the beginning, so that he could invest more in the business. He’s built Amazon into a trillion dollar company, and that’s something that makes Bezos a true visionary.